During May 6th and 7th at Transamerica Hotel in Comandatuba island in the state of Bahia, it was carried out the Furukawa´s Ibero-American Convention. The worldwide manufacter of fiber optic, cable and infrastructure of telecommunication networks and IT had the presence of over 450 guests among distributors and integrators. During March, 2010 it was performed the strategic-commercial alliance between Super Talent and GeeksHive International, which grants the distribution of Super Talent´s products within the certified hives of GeeksHive's community. It is the reward delivered by ITSitio on the basis of the recognition of the trajectory or of originals proposals brought to the market. Right after the presentation of the program to the executives of the schools of Santa Fe. Santo Tome and Paraná, there were given the first talks of our program. With the attendance of directors of Primary and Middle schools of the Cities of Santa Fe, Paraná and Santo Tomé, and the multitudinous presence of certified Geeks in the Community, it was introduced the Good Parents on the Internet program, an initiative of Corporate Social Responsibility supported by HP, IBM, Panda, Novatech, Linksys and TP Link. GIGABYTE keeps on making a great investment in Latin America. 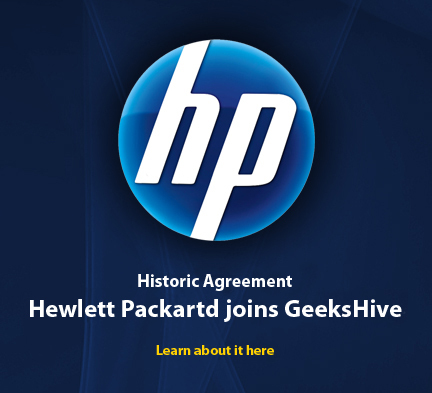 Now the certification it joins GeeksHive following the strategy of placing its technology and products approaching to the specialized computer professionals, for which the certification in GeeksHive represents a great competitive advantage. With the attendance of directors of Primary and Middle schools of the Cities of Santa Fe, Paraná and Santo Tomé, and the multitudinous presence of certified Geeks in the Community, it was introduced the Good Parents on the Internet program, an initiative of Corporate Social Responsibility supported by HP, IBM, Panda, Novatech, Linksys and TP Link.. Bringing exclusive trainings and offering its entire range of products, IBM, the multinational company, is joining GEEKSHIVE, the community of computer specialists. With over than 20 years in the IT market and the production of 2.5 million of Motherboards a month, ECS Elitegroup Computer Systems Inc. joins GeeksHive community. The Instituto Tecnológico Argentino (Argentinean Technological Institute) joined the community as one of its channels of training in technology. Hive directors made a run of meetings with widely recognized trademarks in search of new commercial agreements. From 7th to 9th of January lasting meetings were held with trademarks of international impact that showed interest to become an active part of the community. In November, 21st it was performed the second presentation of the GeeksHive model, within the bounds of the selection Program of the first Computer specialists certified to the community. GeeksHive was launched in Córdoba, Argentina. With the showcase, it was implemented the Selection Program of the first certified Geeks of the Community in that area of the Argentinean country. The event had the presence of the founding Directors of the model and OCA representatives, who were in charge of explaining the most relevant points of the proposition. EDuring the launching stage of GeeksHive in Córdoba, the Program Partnership (PP) began a selection process of what will be regarded as the community gene of that area. The purpose is to detect, select and train an initial team of Technologic Information (IT) Specialists that will be responsible of beginning the implementation of the model and its attributes. OCA, the strategic partner of GeeksHive Community, is the company in charge of every logistics aspect related to the model at national level. It was present in the launching event and was represented by Francisco Suarez, the commercial supervisor in Argentina, in the Northeast and Center of the Argentinean country.